We provide 24/7 emergency tree service & removals in Ada, MI. Call us today, 616-682-4804. Having operated in West Michigan for many years, we know all about the weather that can blow through; straight-line winds, freezing rain, and even the occasional tornado. Once Mother Nature calms down, often times there’s clean-up to be done. We have over twenty five years in the industry and we have seen it all in our time. 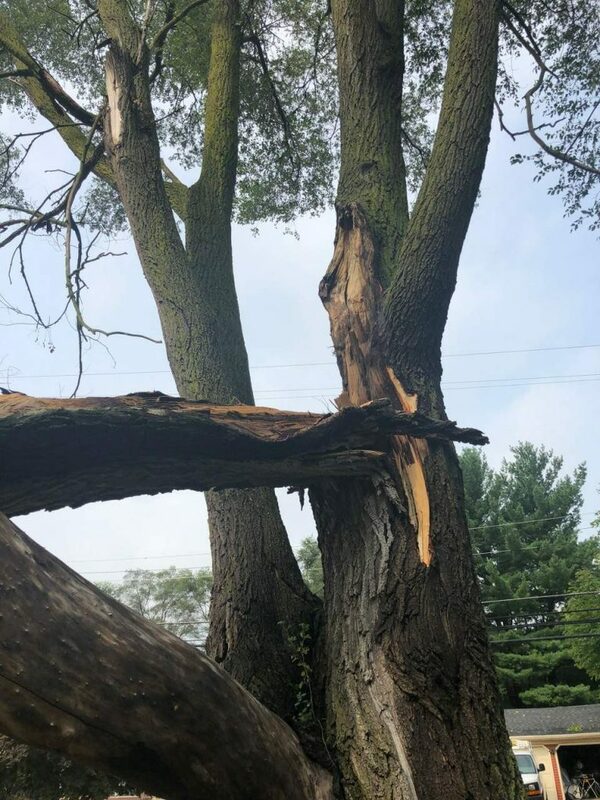 Whether the situation is an uprooted tree, large fallen branch or a fallen tree that has resulted in property damage, Rockford Tree Service has the knowledge and equipment to handle any tree emergency as quickly as quality and safety will allow. Our ISA-Certified arborists are specially trained to handle these situations without further hazard or damage to your property. In any emergency, give us a shout and we’ll check it out. A large amount of tree emergencies are preventable with proper tree maintenance. To save yourself the extra costs, inconveniences, and stress of a tree emergency, call today to have one of our licensed representatives come out for a free inspection. Our tree doctors can find any hollow trees, diseased trees, poorly structured branches, or dead limbs that pose a potential hazard to the homeowner during a storm. Our professional job quotes are always free and with no obligation to purchase. You may find that a light tree trimming, tree cutting or planned tree removal will spare you the costs and headaches of an emergency situation. Ask about our Cabling & Bracing services for further information on how to save weakened or unbalanced trees. These services and others can also eliminate potential hazards while preserving the aesthetic appeal of the trees located on your property.